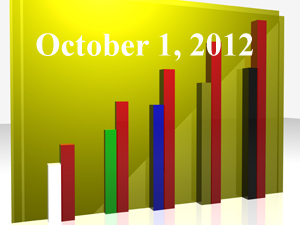 “How CarFax Can Help 401k Plan Sponsors and Investors,” (FiduciaryNews.com, September 25, 2012). Are financial professionals the new Joe Isuzu? “Mom – The Practically Perfect Picture of a Fiduciary,” (FiduciaryNews.com, September 27, 2012). How would your mother explain your investment options to you? If we don’t learn from history, we’ll never earn from history. That should be the motto of all retirement advisers, including regulators and politicians. Clearly, those folks have read Churchill, Hegel or Santayana recently. “The future of retirement is better 401k plans,” (San Francisco Chronicle, September 24, 2012) Here’s an uplifting piece on the success of the 401k plan – and the need to build improvements, not tear the thing down. “Reimagining Pensions,” (InvestmentNews, September 25, 2012) Here’s the inside-the-beltway perspective on things. You may not agree with a lot of it, especially the part where it says there’s a consensus that agrees defined benefit plans are the most cost-effective way to deliver retirement benefits. Hello!? Where has this reporter been as all these state-sponsored Ponzi Schemes verge on the precipice of “belly-up”? “Underfunded Pensions Add Billions to National Deficit,” (TIME, September 26, 2012) The good news: The mainstream media gets one right. The bad news: the ALEXA rating for this site is barely better than FiduciaryNews.com. “How 401k plans could work much better,” (MarketWatch, September 26, 2012) How can an article that starts so right end so wrong? Why do people insist on trying an unproven technique when one that works has been out there for such a long time? Isn’t this obvious to everyone? The answer is not annuities. It’s not “low-cost” ETFs. It’s simply to create one default option (not several TDFs) managed in a manner similar to the old-style profit sharing plans. “401k plans flagged in NFL’s referee debacle,” (MarketWatch, September 26, 2012) Here’s a good read to see just how good these part-timers have it. Unsaid in the article is the real issue that held everything back – the demand, eventually agreed to, by the NFL to have substitute refs on standby should the regular refs start missing calls. Simply said, if all used a uniform Fiduciary Standard, all would end well. “HighTower Advisors: The New Face of Fiduciary?” (AdvisorOne, September 26, 2012) Don’t worry, fiduciary fans, Knut Rostad’s answer to this rhetorical question is a resounding “No!” Read the article to see why. “Protecting participants from themselves,” (Employee Benefit News, September 27, 2012) An article on how a fiduciary can pick investments for participants – without increasing liability. “Poker game reveals critical fiduciary insight,” (BenefitsPro, September 27, 2012) Do you want to know what fiduciary transparency means? Try playing a game of Indian Poker. “Breach of Fiduciary Duty No. 1 Complaint in FINRA Arbitration Cases,” (AdvisorOne, September 26, 2012) This is more about the debate between Harvey Pitt and Ron Rhoades. Is disclosure just as confusing as all those English king’s with the same name? Oh, well, ‘tis better to be sixth than the eighth. “Early impact of 401k fee disclosure rules,” (Employee Benefit Adviser, September 26, 2012) Nothing to report yet except a lot of questions, the need for benchmarking for perspective and possibly more fiduciary consulting opportunities. “Small business owners still confused by 401k plan fees,” (BenefitsPro, September 27, 2012) And this surprises who? Somehow, referring to a quote actually used by Shakespeare but not originally from Shakespeare seems appropriate, since so many Target Date Funds are merely funds of funds; thus, trying to get credit for the work done by others. Sometimes, the more complex we make things, the more we need to revisit simpler solutions to find wisdom. “Why Target Date Funds Could Miss the Bull’s-Eye,” (Smart Money, September 25, 2012) Ouch. Here are the results of a study going back in time. It shows target date funds – the idea to set it and forget it – really aren’t as good as they’re made out to be. Rather than using a set asset allocation formula, even one that changes over time, it appears giving portfolio managers more flexibility might produce better returns. But astute folks already knew that. “Arnott: Target-Date Strategies Are ‘Shockingly’ Flawed,” (Financial Advisor, September 25, 2012) Look, how many Monty Carlo simulations will it take for people to finally rediscover the wisdom of Ben Graham? “Stop selling wrong retirement products,” (MarketWatch, September 27, 2012) Robert Powell concludes this comprehensive article with the two best pieces of investment advice you’ll ever get: 1) If it’s too good to be true, then it is; and 2) If it’s a “can’t lose” opportunity, you can count on losing. The Chicago Financial Planner: Is Your Financial Advisor Like a Replacement Ref? Management INK: Are 401k Plans a Failure?